Tostitos has made an unlikely device that allows football fans to test their sobriety: a bag of tortilla chips. 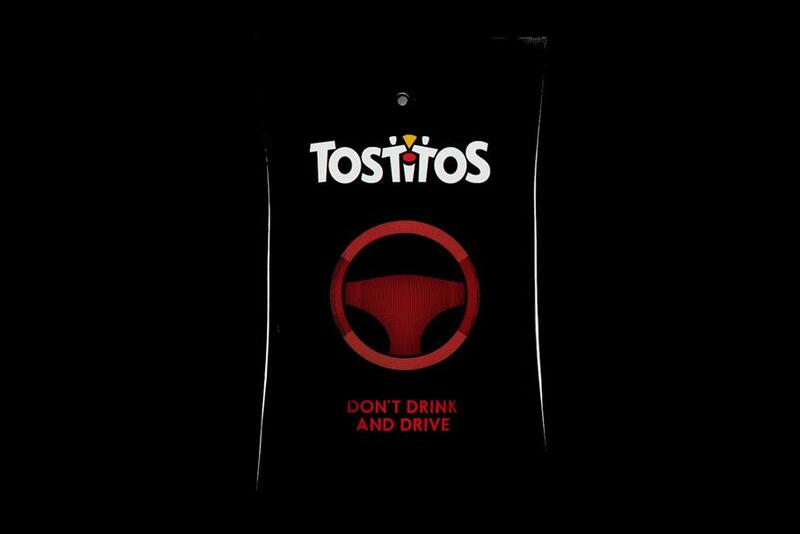 The Frito-Lay brand worked with Mothers Against Drunk Driving, Uber and Goodby Silverstein & Partners to create the Party Safe Bag, a specially-made Tostitos bag that incorporates an alcohol sensor above the logo. When the bag detects the presence of alcohol, it displays a red steering wheel and the message "Don’t Drink and Drive." While the limited edition bag won’t be for sale, most bags of Tostitos sold nationwide can be used as a $10 coupon for an Uber ride redeemable on Feb. 5, either during or after the Super Bowl.